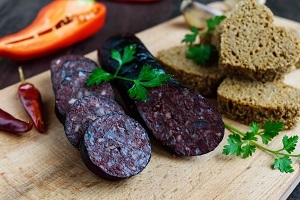 Made primarily from Blood, Suet and Oatmeal, McKeans’ Black Pudding contains Onion which, when coupled with a unique blend of spices, creates a product full of flavour. Little wonder McKeans’ Black Pudding graces many a Scottish Breakfast plate. At 1.5kg you will get up to 30 slices from each Pudding.